Luxurious 3+1 apartment in city center. 12-year loan! This residential complex is located in the very center of the city of Kyrenia, which gives an excellent opportunity for investment. 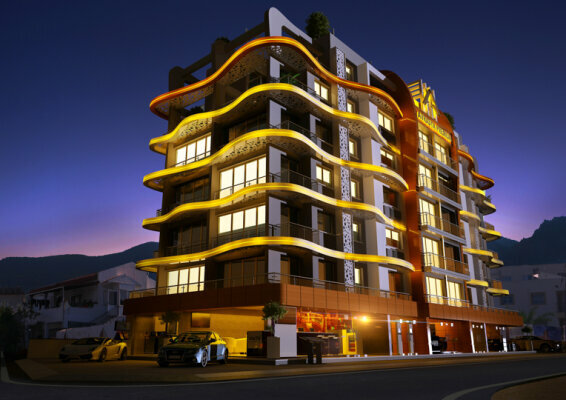 is located in the very center of the city of Kyrenia, which gives an excellent opportunity for investment. The most popular street in Kyrenia with all shopping malls, restaurants, cafes and cinemas is 2 minutes away. Girne American University is located, which gives an additional value to this object. All bedrooms are equipped with wardrobes. How to reach North Cyprus? Be the first to know about the hottest deals! Many objects are sold without having time to get to the site.